Situated in Plant City, this hotel is 2.1 mi (3.5 km) from Robert W. Willaford Railroad Museum and within 9 mi (15 km) of Dinosaur World and Florida Air Museum. Lakeland Center and Lakeside Village are also within 12 mi (20 km). 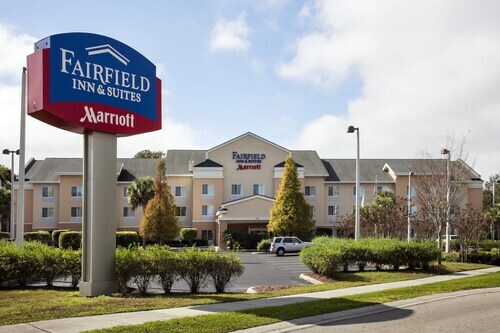 Situated near the airport, this hotel is within 9 mi (15 km) of Robert W. Willaford Railroad Museum, Lakeland Center, and Florida Air Museum. Explorations V Children s Museum and Lake Mirror are also within 9 mi (15 km). Situated in Plant City, this hotel is 1.5 mi (2.3 km) from Robert W. Willaford Railroad Museum and within 12 mi (20 km) of Dinosaur World and Florida Air Museum. Lakeside Village and Lakeland Square Mall are also within 12 mi (20 km). How Much is a Hotel Room in Plant City? 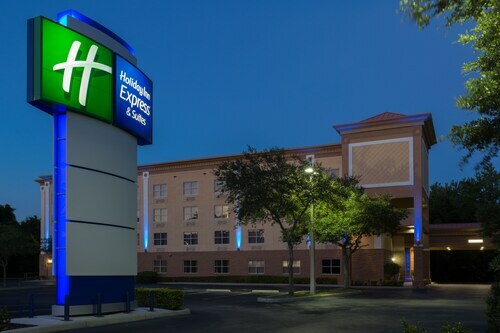 Hotels in Plant City start at $62 per night. Prices and availability subject to change. Additional terms may apply. Don`t be fooled by the name. Plant City, Florida, isn`t named after the local verdure—although it is the winter strawberry capital of the world. It`s actually named after regional railroad tycoon Henry Bradley Plant, and that`s good news because it`s easier to say (and spell) than Ichepucksassa, the city`s original name. Today, this geographically central community is a center of regional history and family fun. 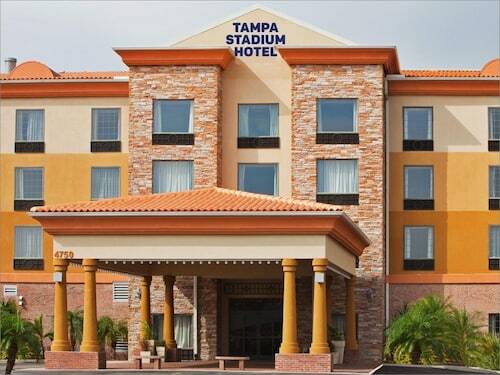 Book one of the great Plant City hotels and you`ll also enjoy easy access to both Tampa and Orlando. 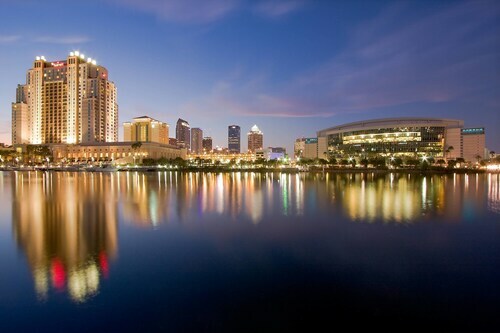 Once you touch down at Tampa International Airport (TPA), Plant City is just 33 miles to the east. There is no public transportation available directly to Plant City. However, it is certainly possible to hire a taxi across the walkway in the Blue or Red baggage claim areas. Renting a car is always a great idea when traveling around Florida. Once you arrive and settle in at one of the hotels in Plant City, head over to explore railroad history and check out a restored caboose at the Robert W. Willaford Railroad Museum. Children will love playing around the life-sized dinosaurs at Dinosaur World, and Edward Medard Regional Park provides numerous opportunities for recreational activities, from boating to hiking. Are you a strawberry fanatic? Lucky you, if you happen to be in town during the Florida Strawberry Festival, which usually takes place in February or March. Don`t forget that Orlando is only 60 miles away! Hop into one of the Plant City rental cars to access the exciting theme parks and other attractions of this famous Floridian city. Travelocity can guide you to the great hotels in Orlando so that you have somewhere to crash after a busy day full of theme park adventures. Let`s get started! 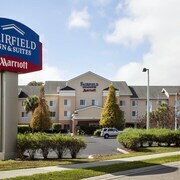 We have fantastic deals on Plant City hotels and plane tickets. Want to save even more? 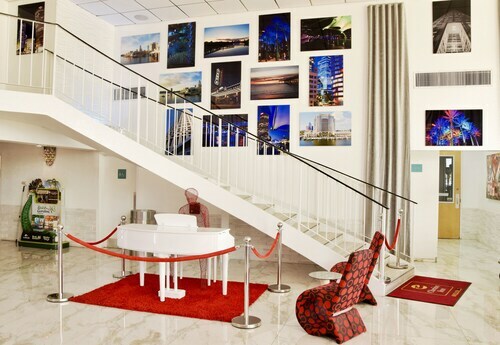 When you book your Plant City motels and airfare at the same time here on Travelocity, you could save up to $537 on your vacation package. This property and all the staff were wonderful. I highly recommend this place. We loved the pool area! Perfect for kids! The staff were so nice and friendly daily! Whatever we needed we had. The most comfortable bed we have ever slept in at a hotel. We just felt that the rooms could have been more updated. Just a little paint and changing out some of the hardware on the shower. We were very pleased with the location of this hotel as well. We loved the balcony and we recommend asking for a room with a pool view. The pond in the back which the pool overlooks was a nice surprise. Mom’s Diner for lunch was very good. Stayed here a year ago very good last and this time. Disappointed they no longer offer free shuttle service.